In this newsletter, I want to share a few recipes and tips that can get you started on your own road to allergy recovery. I used to have allergies. And I am so grateful that I can say “used to!” Allergies are often accepted as something common, but I remember the misery of them. I don’t want something so uncomfortable to be “common” at all! I’ll bet you can guess what I did . . . I turned to essential oils! I created an entire regimen of using essential oils in my daily life. My goal was to both remove potential allergens, like chemical cleaners,, and surround myself with health-supporting essential oils instead. The changes I made helped right away, but it was a few months before the full transformation took effect. As my body adjusted, my allergies began to calm down . . . until they disappeared entirely. True story! I no longer experience allergies at all. In this newsletter, I want to share a few recipes and tips that can get you started on your own road to allergy recovery. From making your own natural cleaners, to using inhalers and diffuser blends that get right to “the scene of the action” (your respiratory system! 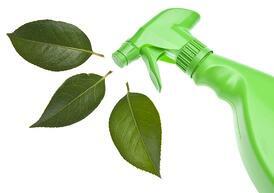 ), essential oils can do so much to soothe the symptoms of allergies. 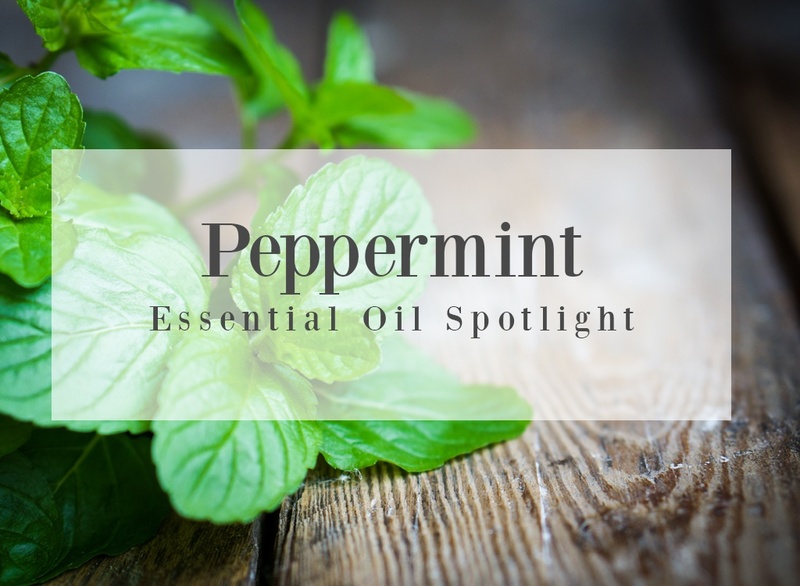 Even the oil featured in this month’s Essential Oil Spotlight section (Peppermint!) is good at relieving allergy symptoms. As I mentioned in my note to you above, replacing chemical cleaners with natural, homemade essential oil cleaners went a long way toward helping to calm my allergies. Just think about all the products you use to clean your house. These products literally surround you (even if you can’t smell them)! How many of them are made of potentially toxic or harsh chemicals? These can irritate your allergies, putting a low level of constant stress on your immune system. 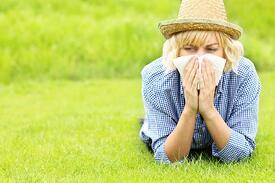 Then your immunity is less able to fend off allergens. Here’s an all-purpose surface cleaner you can make that will actually SUPPORT your health (instead of challenging it). You can use it for counters, sinks, shelves, floors, and anything that reacts well to water. You might want to test this cleaner on a corner of what you’re going to clean to be sure the surface likes essential oils. I also suggest making a fresh bottle every few weeks, since there are no preservatives in it and it’s a water-based cleaner. You have time to be in nature and enjoy the trees. It’s a great way to “come back to yourself,” especially after a long day. In Japan, this is sometimes called “forest bathing,” because simply being in nature can have such a therapeutic effect. 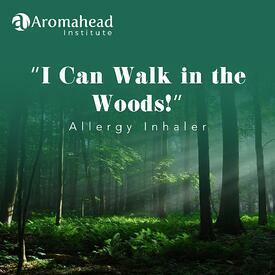 Wouldn’t it be nice if taking a walk in the woods actually relieved your allergies, instead of making them act up? I have an allergy inhaler you can make that offers that effect. Read more and get the recipe . 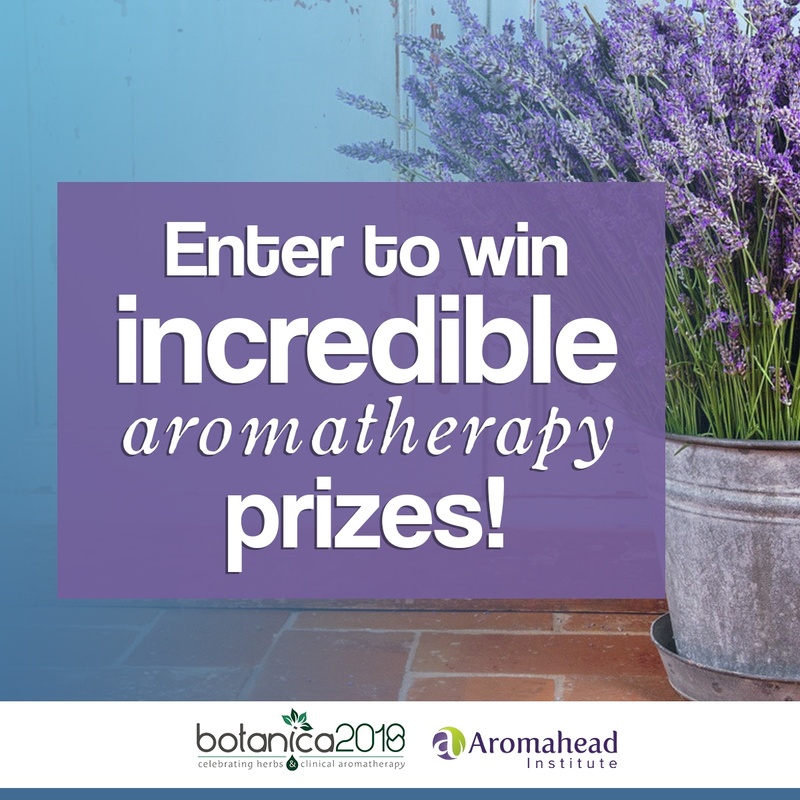 . .
Our Aromatherapy World: Botanica2018 Raffle! Farmers and distillers are at the heart of our love of essential oils. Now there’s a way we can give back to them, and also win amazing Aromatherapy prizes! Aromahead is sponsoring an Aromatherapy raffle! 100% of the ticket sales go to bring three distillers to the Botanica2018 conference in Brighton, England. That’s a journey they might not be able to make without our help. BRIGHTON, ENGLAND AT THE UNIVERSITY OF SUSSEX. This international conference brings people together from a wide range of fields related to natural healing and plant therapies. The presentations and workshops include topics like Aromatherapy, herbalism, medical therapies, and more. Attending is a once-in-a-lifetime opportunity for these distillers. Some wonderful companies and organizations have donated prizes to the raffle! Here are just a few things you can win . . . Check out the complete list of fun prizes and buy your raffle tickets here! I poured my heart into organizing this so we can come together and help distillers, and I really hope you can take part . . . and that you win something in the raffle! In The Complete Guide to Aromatherapy, Salvatore Battaglia says Peppermint may be beneficial for people who have mental fatigue, and it can help us be clear headed. I’ve found all this to be true, and I bet you will too! This Essential Oil Spotlight takes a look at some wonderful ways to bring this fresh, energizing, super-cool essential oil into your life. Have you ever made your own infographics? It’s a great way to reach more of your audience! An infographic is a way to present facts and information to people alongside colorful, eye-catching images. That way different parts of your brain are engaged—the part that processes language, and the part that processes images. Infographics can be especially helpful if you’re going to explain a new idea to someone, but don’t want to make a whole slideshow or write an article. Infographics tend to get fully read more often than articles, because they’re more fun to read! I want to tell you about an easy-to-use website that makes it so simple and fun to make your own infographics. It’s call “Easel.ly” (haha, such a clever name!) Easel.ly has pre-designed templates and images for you to choose from, as well as a huge database of articles and information to include on your infographic. And if you happen to get stuck during the process of making your infographic, Easel.ly has designers that you can ask for help. On their website, they say their mission is “to inspire and enable anyone to present an idea in a visual way.” I think they really do! (They have even won awards and recognition for how easy they are to use.) You can sign up for free. Seasonal allergies affect so many of us, but essential oils can help reduce your symptoms. 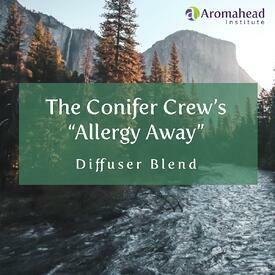 Conifer Crew’s “Allergy Away” is my favorite essential oil diffuser blend for allergies! Hemlock, Pinion Pine and Black Spruce essential oils combine their strength to clear your sinuses and calm your allergies, so reactions don’t have time to set in and cause discomfort. Hemlock essential oil is piney and refreshing and helps support your respiratory health. Pinion Pine is citrusy and vibrant and continually calms reactions to allergens, including inflammation and congestion. Black Spruce is such a good respiratory oil and it can support you through colds, the flu and allergies. Diffuse this blend in your home or office to reduce germs, stay healthy and support your immune system. I like to think of health as both the journey and the destination. I hope this newsletter helps you on the path of your own healing!